As pet owners, we want our dogs to perform at their very best throughout their lifetime. With naturally sourced ingredients increasingly influencing our own diet choices, many owners opt for a similar diet for their pet to support them through a healthy life. 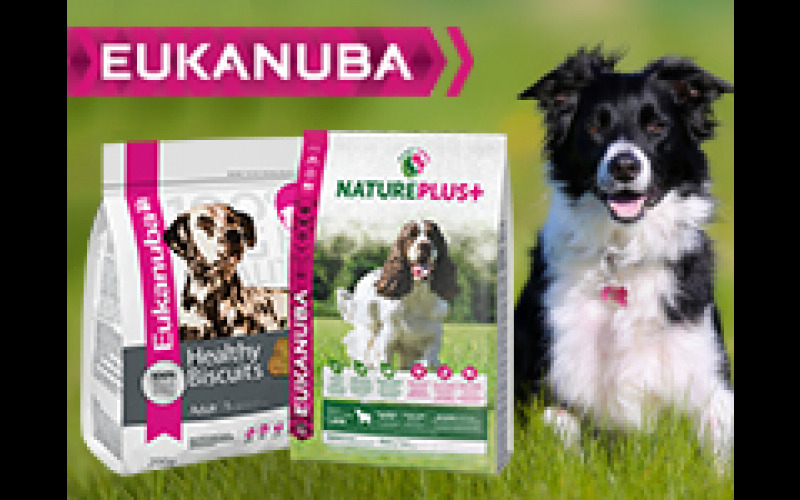 Eukanuba’s new range of NaturePlus+ harnesses the power of nature to provide dogs with everything they need for a long, happy and healthy life. Strengthened by science, NaturePlus+ expertly combines naturally sourced ingredients with a range of added health benefits to ensure dogs have the right choice of nutrition at every life stage, supporting their lifelong wellbeing and helping them to be the very best they can be. Combining high quality animal protein of up to 81%*, deriving from natural human grade New Zealand lamb, and with no added wheat**, artificial flavours, colourants or GMOs, you can trust that your dog is being fed a 100% complete and balanced diet with all the goodness they need to provide visible benefits with a lifelong impact.